We use salt therapy to promote wellness and relaxation for our guests. Pollution, allergens and toxins are being emitted to the air we breathe every day, leading to an increase in respiratory and skin issues for many people. Furthermore, the constant use of our phones, computers, and televisions is producing unfavorable effects on our bodies. With all these things making up our “normal” day, spending 45 minutes surrounded by clean, sterile air will be an occasion that anyone can appreciate. 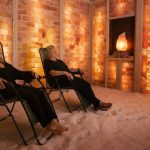 At Himalayan Hideaway Salt Cave, our salt therapy (also known as halotherapy) involves using a specially designed generator that pumps a fine concentration of dry salt throughout the room. While doing nothing special other than being in the atmosphere, clients breathe in micro-particles of salt to the respiratory tract, allowing the salt to clean the airways and lungs of mucus, bacteria, and other impurities. The practice of using salt as a cleansing and healing therapy has been around for centuries in other countries, and the use of salt therapy has been a growing movement throughout the United States as the curative benefits become more evident. At Himalayan Hideaway Salt Cave, we encourage you to visit our salt cave for a truly unique and healing salt therapy experience, as well as stop in our retail store to see how you can incorporate the benefits of salt therapy into your everyday life. 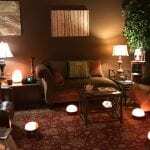 Whether you are visiting Winston-Salem and are looking for a relaxing experience or you are a resident exploring holistic therapies for wellness, you’ll find a great option at our salt cave. Contact us today to schedule your appointment.